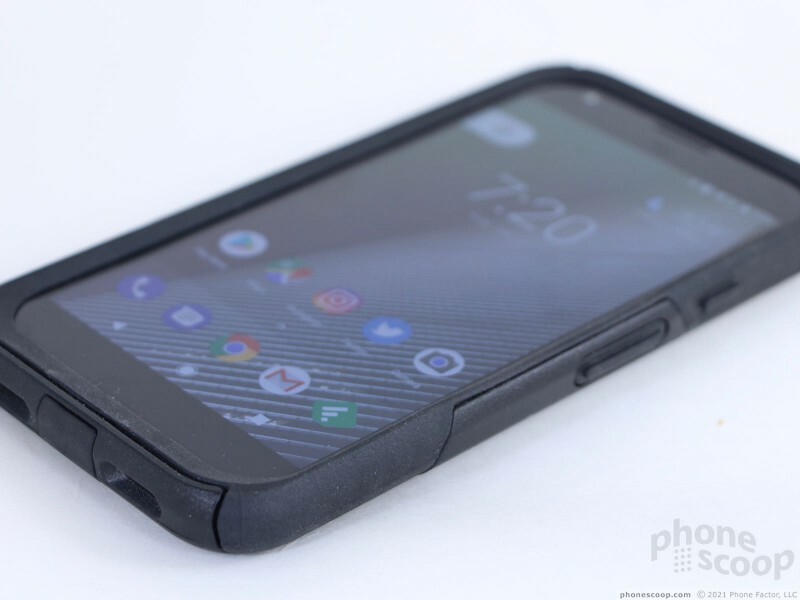 OtterBox's Commuter case for the Pixel XL is a rugged, rubber-and-plastic shell that provides plenty of protection for your pricey smartphone slab. The Commuter delivers more safeguarding against drops than many other options for the Pixel XL. 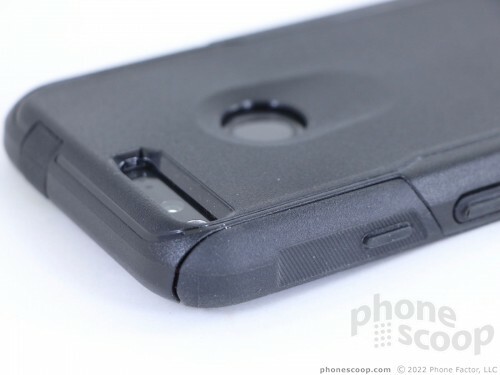 Here is Phonescoop's review. Cases aren't for everyone, but they do serve a purpose. At a minimum, cases need to provide some protection. 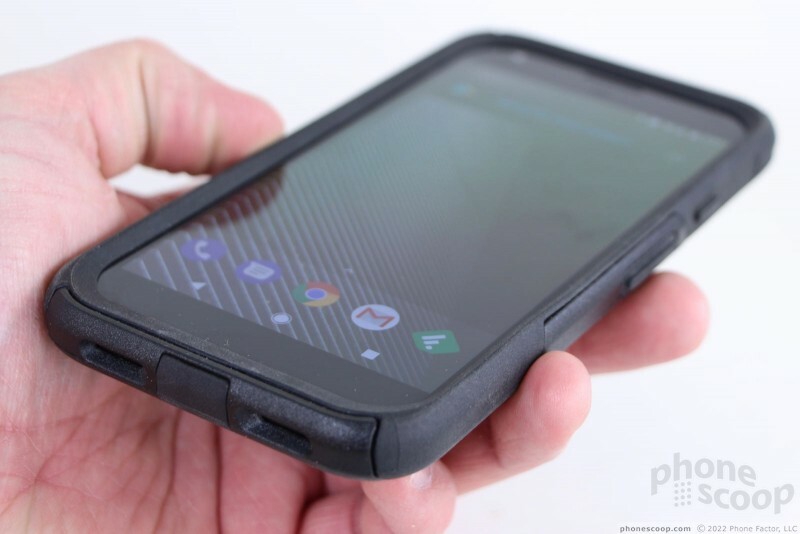 That means slapping a plastic or rubber shell onto your smartphone should defend at least the side edges and rear panel from scratches, dents, and other damage. Then there's the style angle. Cases allow people to add some personality to their phone. 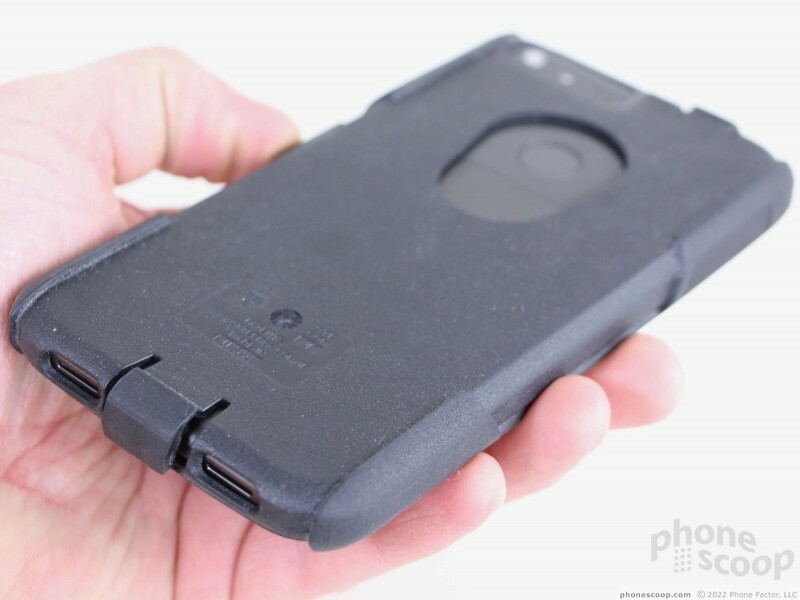 Google's Pixel XL smartphone has been on the market for a few months now and several case makers, including OtterBox, have taken the opportunity to create protective shells for the phone. 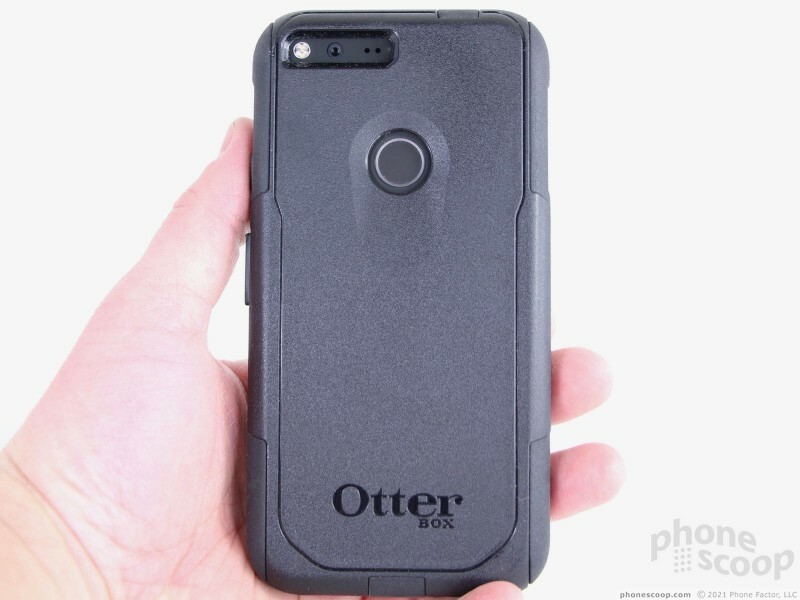 Here's a quick look at the OtterBox Commuter for the Pixel XL. 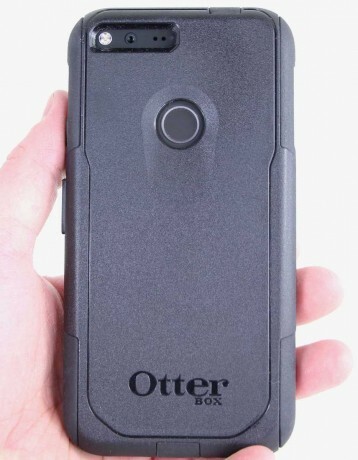 OtterBox has long offered the ultimate in protection for today's smartphones. 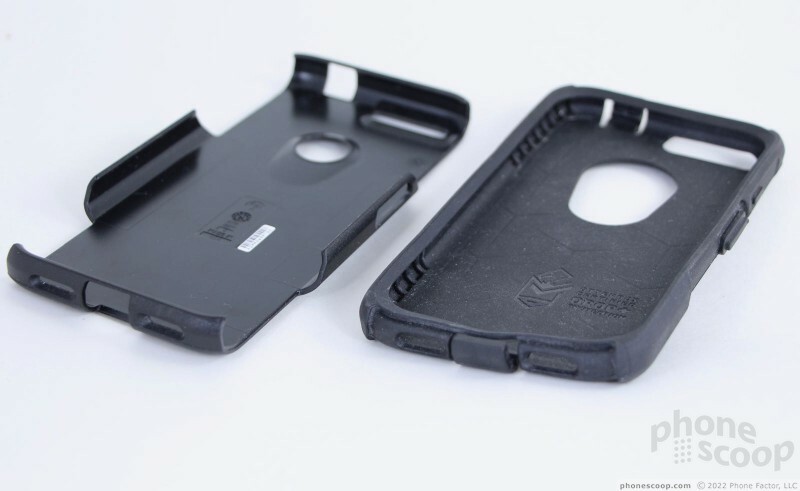 It makes fully rugged cases that provide excellent defense against damage. The Commuter is a two-piece case. 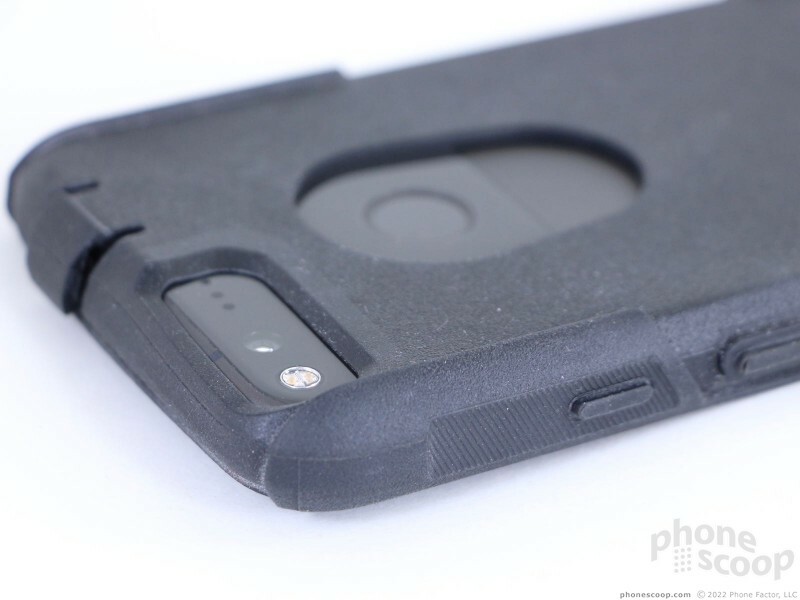 It consists of a thick rubber membrane that stretches around the outer edges of the Pixel XL and a hard plastic shell that fits over the rubber. 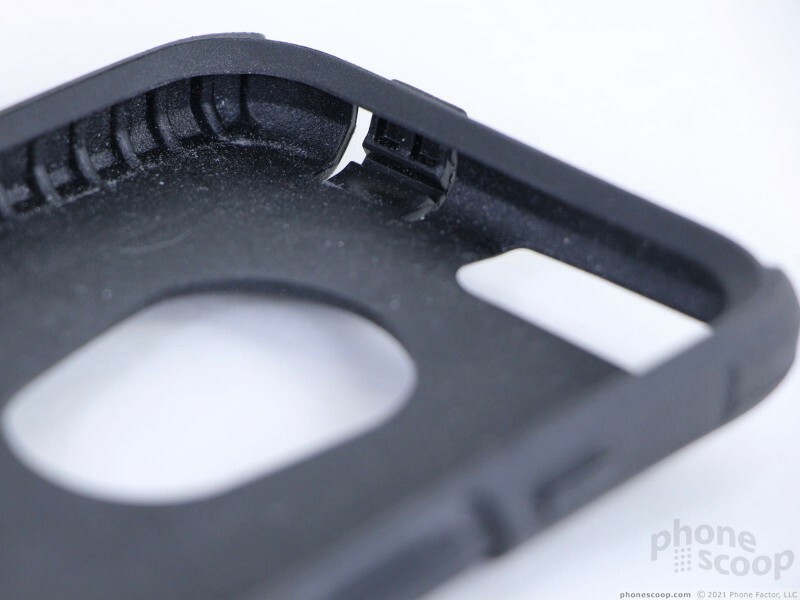 The rubber protects against drops and shock thanks to the thick, cushiony material, while the plastic shell provides an added layer of rigidity to deflect blows and help safeguard the glass panel that's on the back of the phone. The rubber piece is easy to fit around the XL. There are a number of hatches and cut-outs to accommodate the XL's various ports and controls. 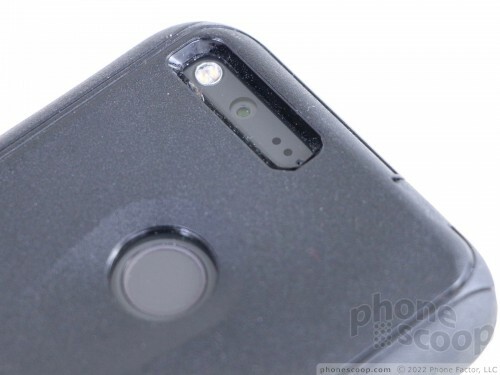 For example, the rubber piece has a large hole on the back for the fingerprint reader and another, smaller opening for the camera and flash. 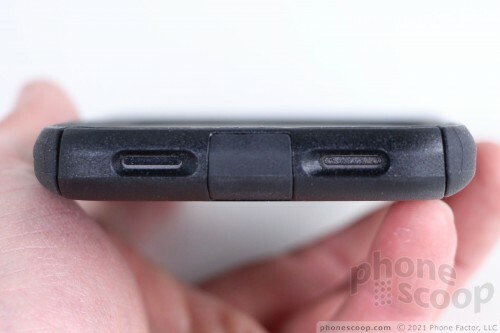 Two rubber flaps, one on the top and one on the bottom, cover the headphone jack and USB-C port, respectively. 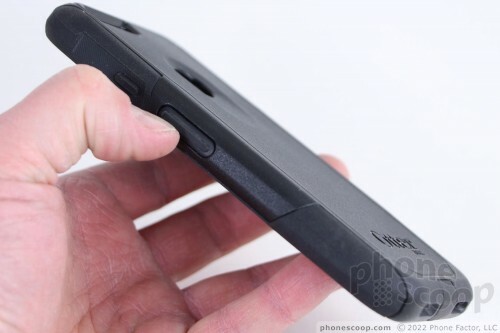 The right side of the rubber membrane has over-sized ridges that fit over the volume toggle and screen lock button. Snapping the plastic shell on top of the rubber membrane is actually a bit of a pain and requires some futzing. The issue is aligning it with the rubber flaps. Since the fit is so snug, you have to hook the top of the shell on the top edge first and force it around the bottom edge. You then have to wiggle the flaps through the openings in the plastic shell. There's an opening in the side of the plastic shell so the rubber ridge. The reward is worth the effort. The Commuter is crazy protective. 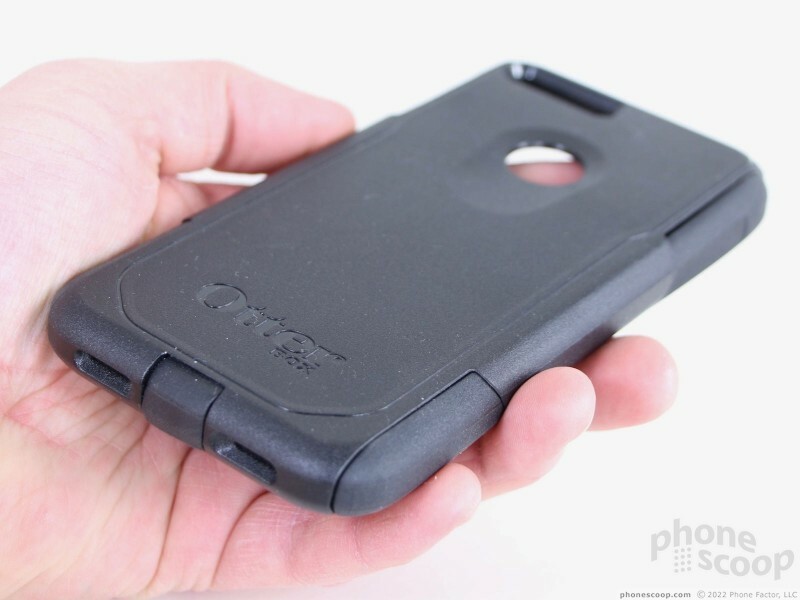 OtterBox claims the Commuter survived 238 hours of abuse in its lab. Moreover, the company slathers a number of liquids on the case, including makeup, rubbing alcohol, CaviWipe (airport security stuff), Purell, lotion, sweat, and more. Last, it tests the case in purses, pockets, high/low temperatures, and other abrasive environments. There's no doubt the Commuter keeps the XL safe, but OtterBox doesn't make any specific claims as to how well it protects against drops. Competing cases claim protection from “drops of up to 8 feet”, for example. 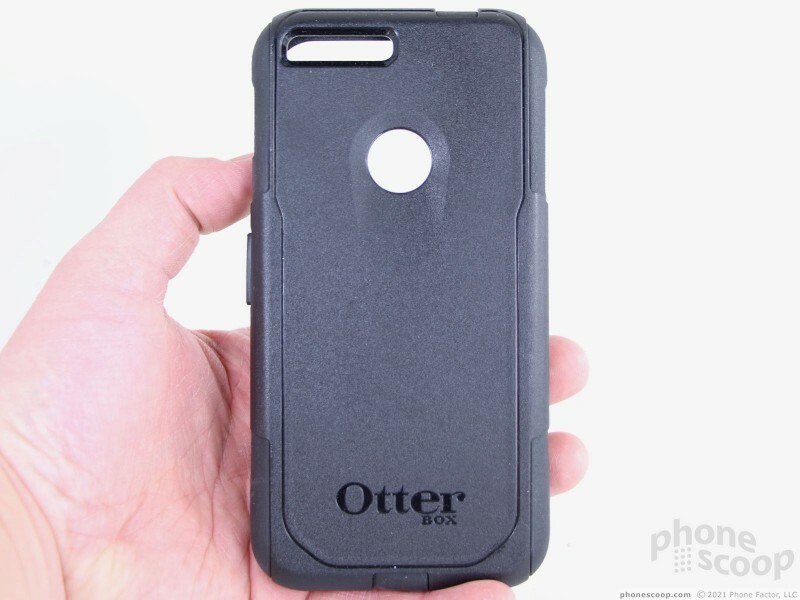 OtterBox only offers "OtterBox Certified Drop+ Protection", whatever the hell that is. With that said, I tested dropping the phone into concrete from waist height. It didn't break. There are some drawbacks, chiefly bulk and weight. The Commuter increases every dimension of the Pixel XL, making an already large phone simply gigantic. It also adds a noticeable amount of heft. It's bulky enough that fitting the XL into jeans pockets with the case on is rather challenging. Moreover, the rubber material often catches the lining of your pockets, making it difficult to retrieve in a hurry. I'm not a big fan of the hatches, but they do provide protection against dust and dirt. It's worth pointing out that the Commuter does not make the XL waterproof. If you drop the phone in a toilet, it's a goner. 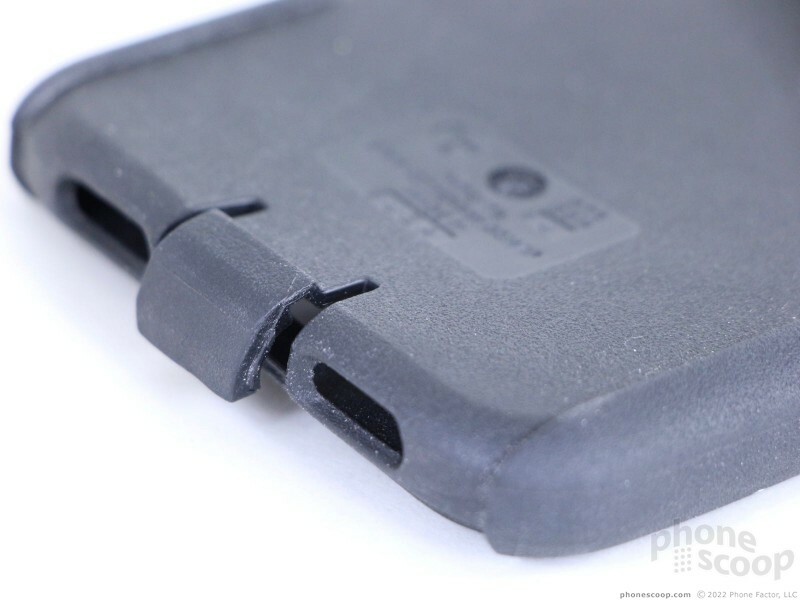 Also, though the Commuter includes a nice, thick rim to protect the screen from flat surfaces, it does not offer any direct protection for the glass itself. 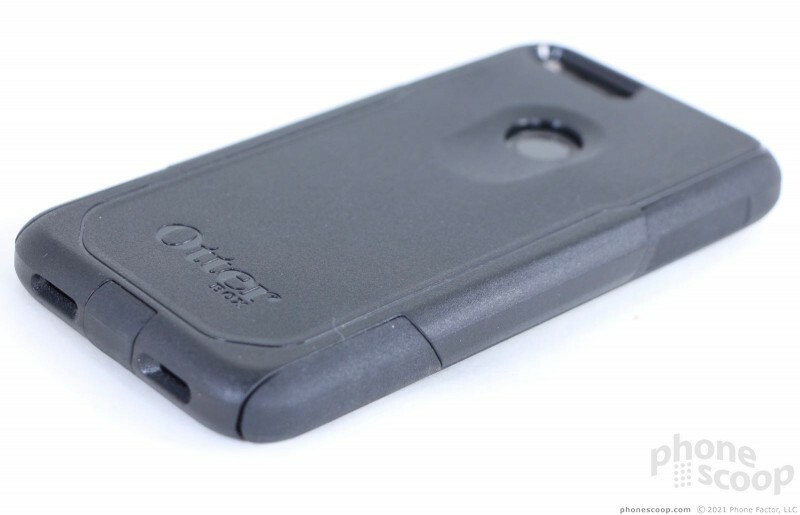 The OtterBox Commuter is the antithesis of stylish. It's clunky looking and just blah. The case comes in black or pink. The pink case is at least two-toned to give the phone some visual variety. The black case is black all around and just boring. This is clearly a case (pun intended!) of function over form. The Commuter costs $50 for the Pixel XL, which is a lot for a case. It's best to think of it as an insurance policy. 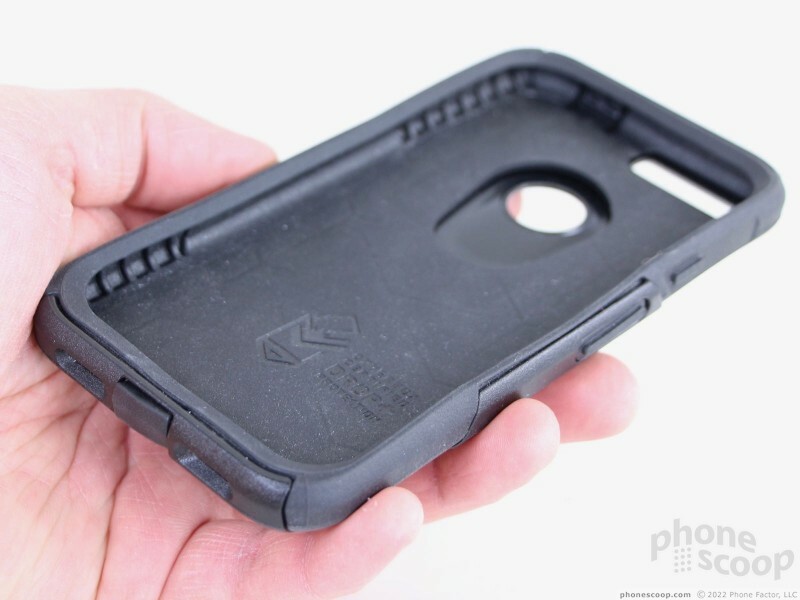 That $50 buys you very good protection for your smartphone. The Pixel XL starts at $780, so $50 isn't all that egregious a cost if it saves the phone from significant damage even once. You might consider adding OtterBox's Alpha Glass Screen Protector, which is a hardened piece of glass that fits over the display. The Alpha Glass works together with the Commuter to provide protection from impacts on the screen. It's a shame Alpha Glass costs another $40. 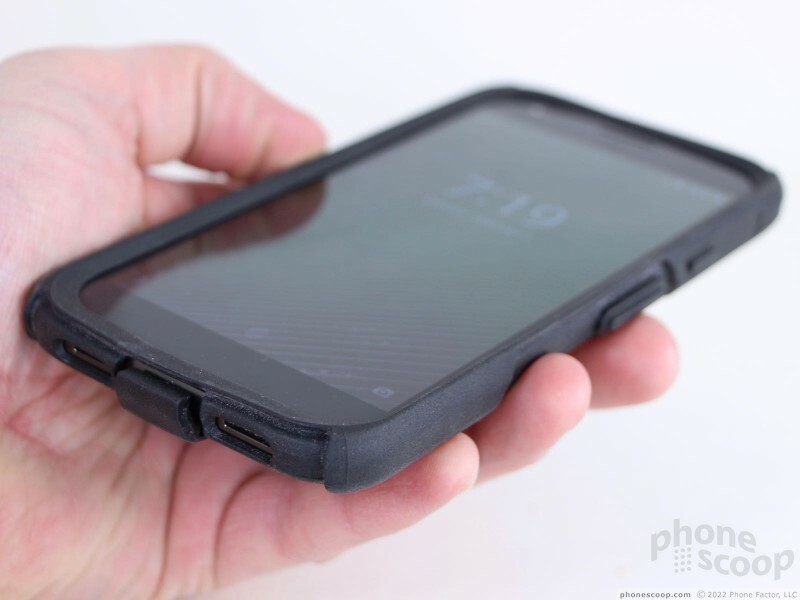 If you want even more protection the OtterBox Defender adds another layer of insurance around the phone itself and a screen protector for $60 total. 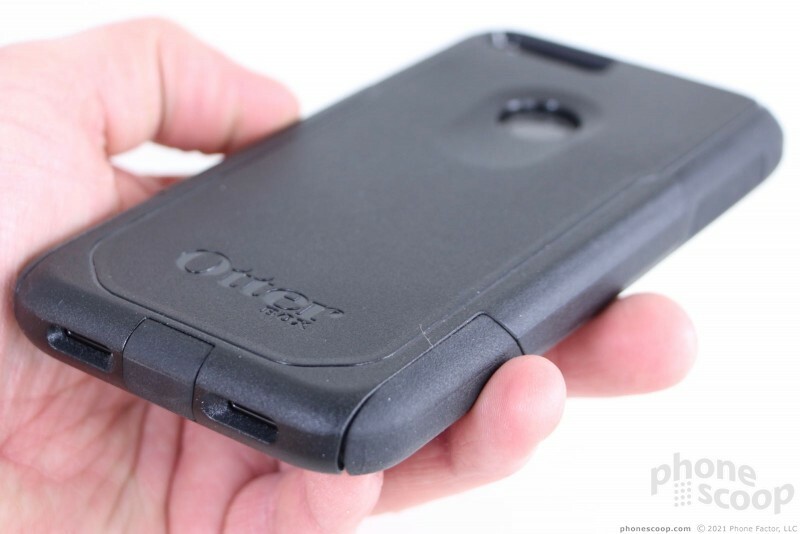 The OtterBox Commuter provides an excellent amount of protection for $50. 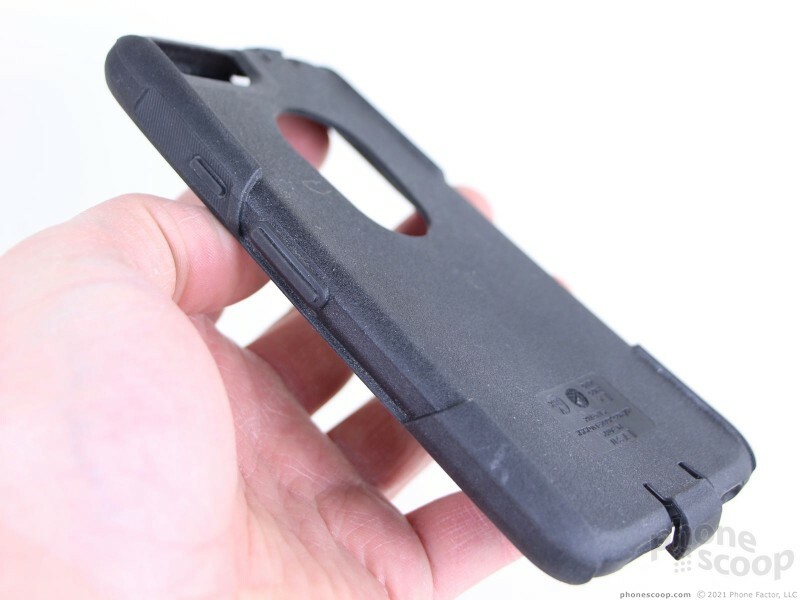 It's not the prettiest case in the market, but few other cases will safeguard your expensive smartphone as effectively. The downside is, of course, the added size and weight. For many, the trade-off will be worth it.